A select offspring from the selfing of the esteemed flower 'SanBar Marble King'. 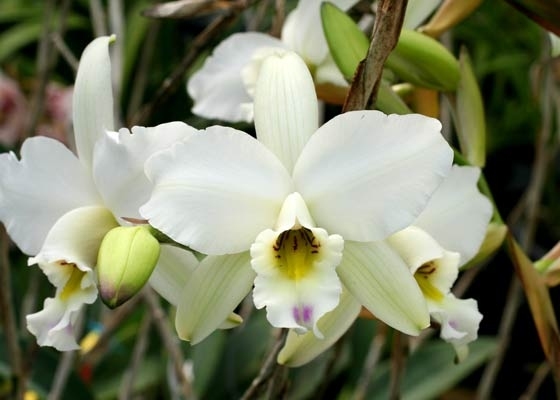 The blooms of the plants offered here are very full and shapely, creamy white, and the bright-white lip has a small, purple accent. The throat is yellow-green with dark. True to its species this plant is a very robust grower. .Temperature Tolerant. January blooming. Species from Mexico.